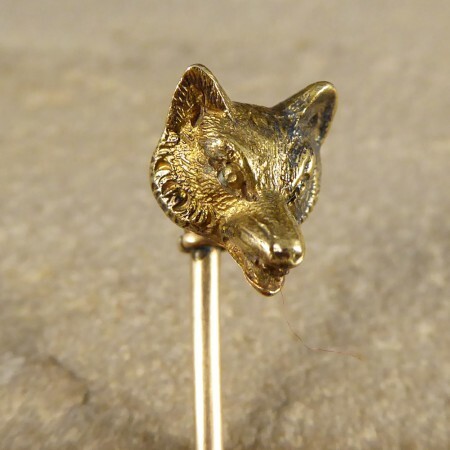 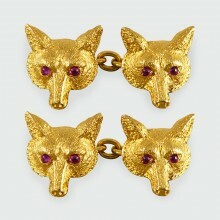 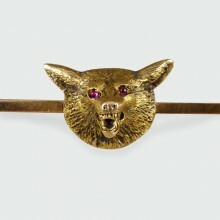 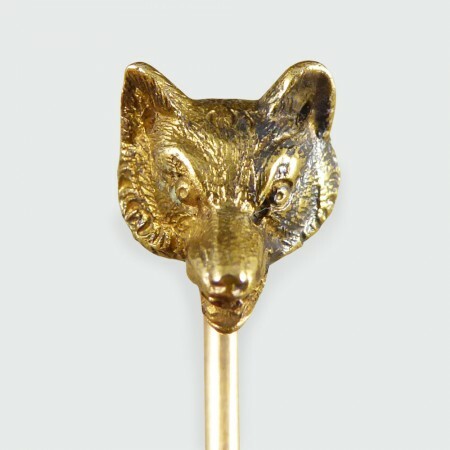 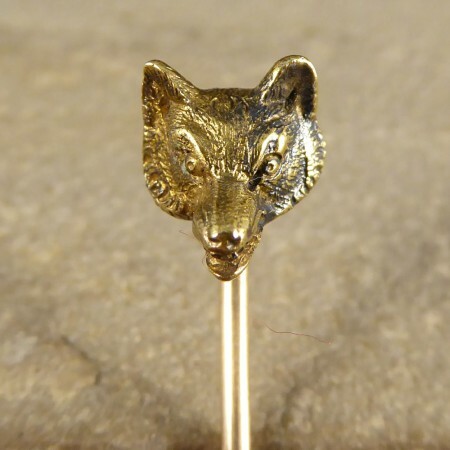 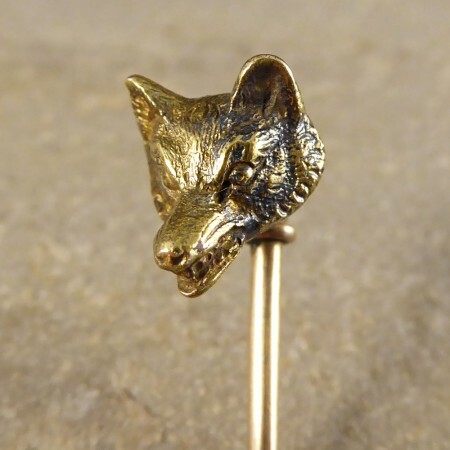 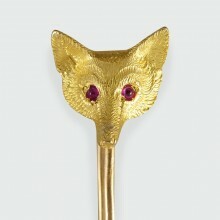 This fascinating antique pin features a fox head in spectacular detail. 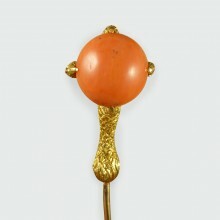 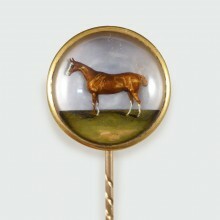 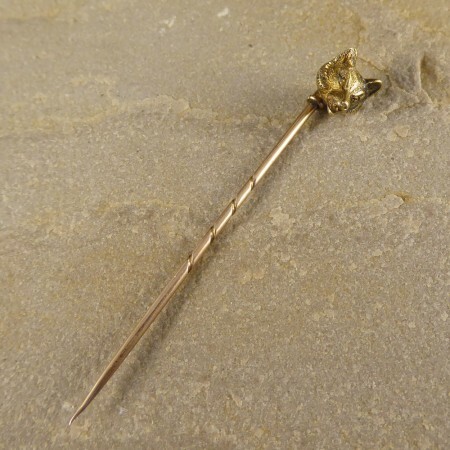 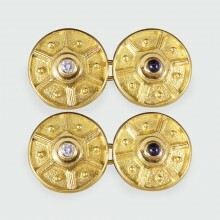 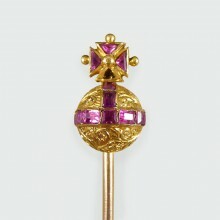 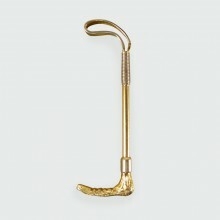 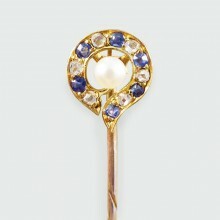 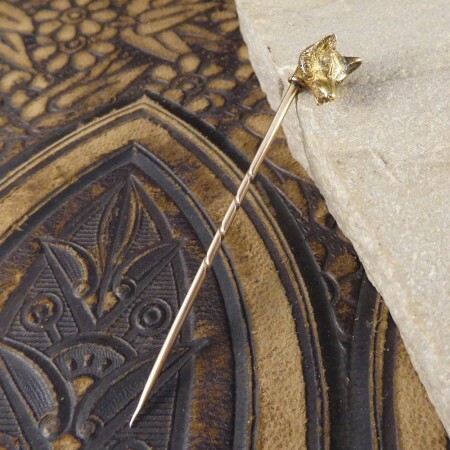 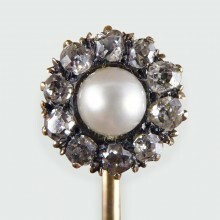 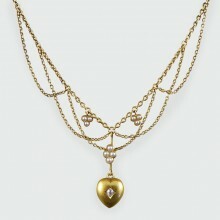 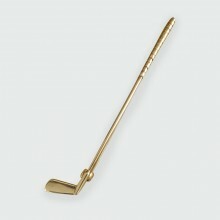 Made in the Edwardian era, the head has been set in 15ct gold, and the pin in 9ct gold. 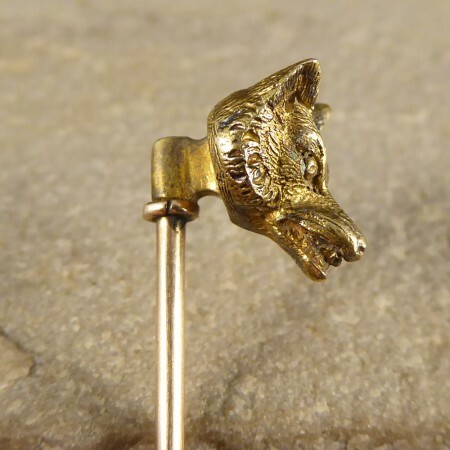 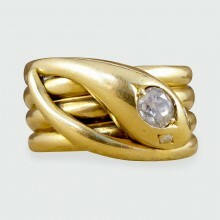 An interesting find that would also make a great ring conversion! 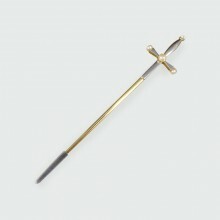 This era derives its name from the reign of an English King, Edward VII. 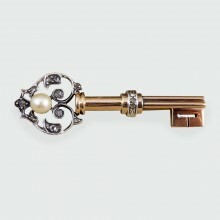 This time period saw both economic and social development which led to increased social mobility in the English class system. 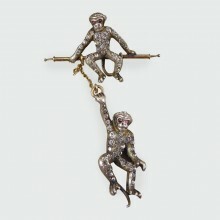 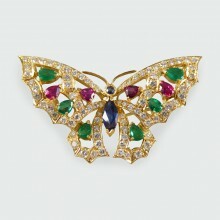 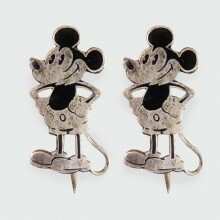 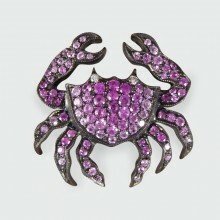 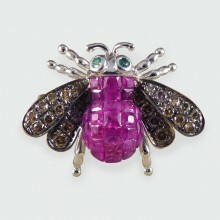 In the final decade of the last century, machine-made jewelry which had once been seen as an innovation was rejected by most who were in favour of more handmade and artistic creations. 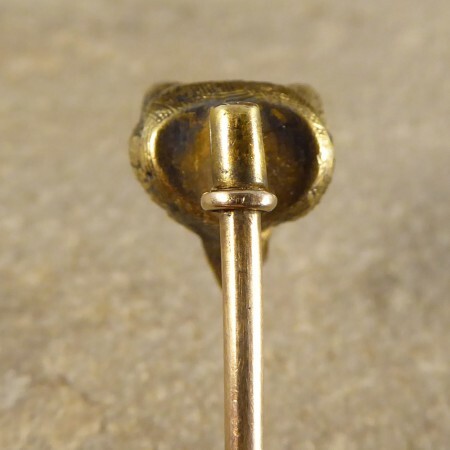 The emergence of the use of platinum allowed for the delicate technique of millegrain to become popular, this is a process that involves impressing a knurling tool into a metal edge creating grooves and beads into the setting. 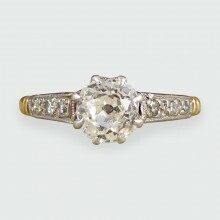 Due to its strength, many platinum designs had a lace-like appearance that made Edwardian jewellery light, soft and delicate, and somewhat understated in comparison to previous eras. 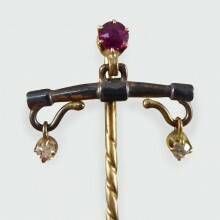 New diamond cutting techniques were encouraged giving rise to the Baguette and Marquise cuts.